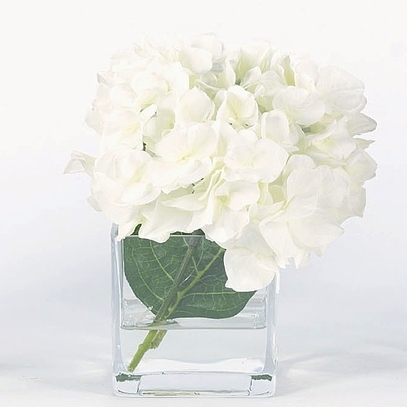 Large lifelike hydrangea blossom will add interest to any location. 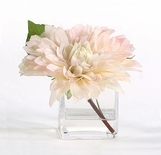 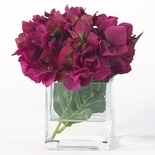 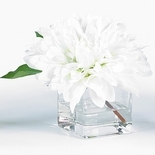 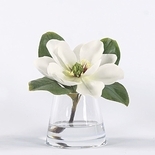 This fabric flower is showcase in a square glass vase with acrylic water. 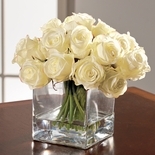 Approximately 8 ��h x 6 ��w.